In order for a Canadian document to be valid for use outside Canada, whether for personal or commercial purposes, as a first step it must be stamped and signed by the authentication and service of documents section at Global Affairs Canada in Ottawa. Do I need assistance with the authentication of my document? You are able to have your document authenticated with Global Affairs Canada directly by mail, the service is free but the process can take 15-25 business days. If your document does not meet their requirements or needs extra attention it will cause delays adding additional days to processing. Unfortunately, due to the number of documents Foreign Affairs receives they are unable to provide updates on the progress of your document, or if it does have a problem not until the expected processing time has elapsed. If you are currently outside Canada Foreign Affairs is unable to send your document back to you using an international courier which can add more difficulty to the process. If you are a person who does not leave important things to chance we understand. Not to worry we have good news as Foreign Affairs has recognized these challenges they recommend that you use an authentication and legalization service to save any difficulties. As Canada’s first authentication of documents service we provide answers and solutions to save you time and ensure your document is authenticated the first time. After our consultation and review of your document our service guarantee gives you peace of mind that all will be handled quickly. We offer authentication of documents on a 1, 3 or 10 business day service depending on your time line and budget. Our email updates allow you to know where your document is in the process and how quickly we expect it to be completed. 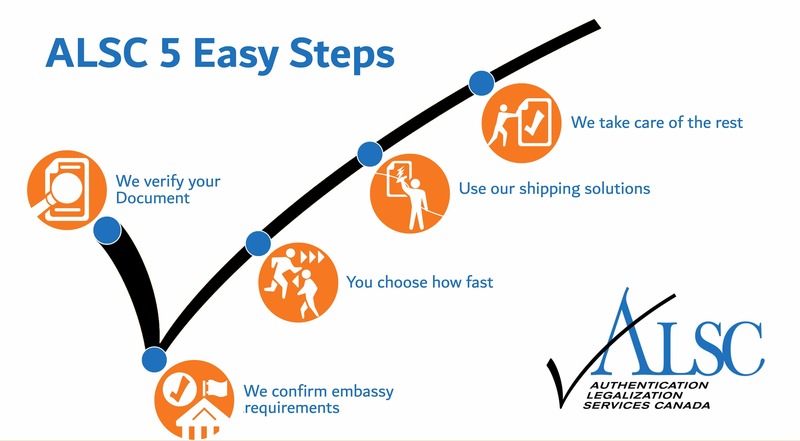 Once completed our shipping made easy provides a fast and traceable service to anywhere in Canada or the world. Some of the common documents that we authenticate are birth certificate, marriage certificate, death certificate, divorce certificate, police clearance fingerprint certificate, degree, diploma, educational document, commercial document, powers of attorney, Canada Revenue Agency document ask us about your document. If you need to authenticate your document at Foreign Affairs Canada in Ottawa we can help.